It’s that time of year again! 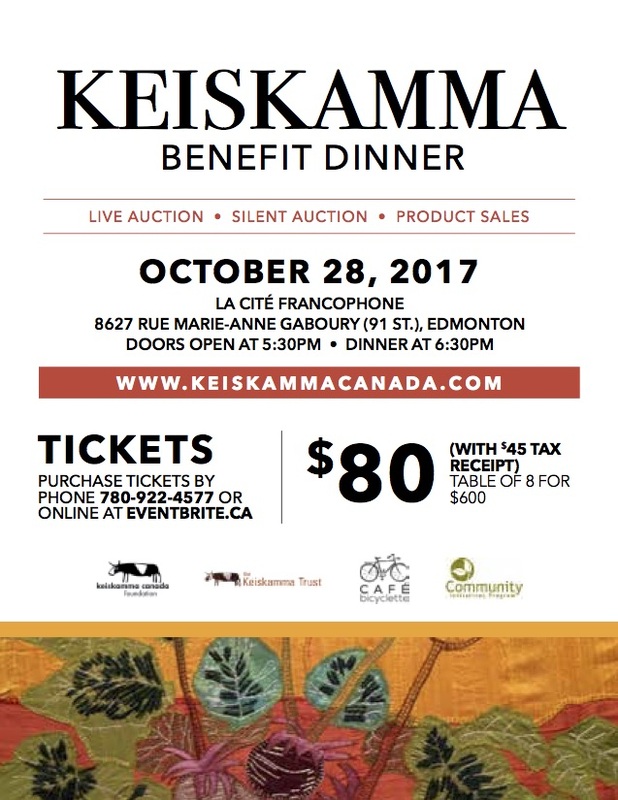 Please join Keiskamma Canada Foundation and other supporters for the second annual Keiskamma Benefit Dinner and enjoy an evening of great food and entertainment. This evening will be an opportunity for you to hear about the work of the Keiskamma Trust, buy or bid on new product from the Art Project and show your support. Individual tickets for the dinner are $80 or you can buy a full table of 8 for $600 and invite your friends! Tax receipts for tickets and donations will be issued in recognition of your support. For tickets, please visit eventbrite.ca or call Evelyn at 780-922-4577. Tickets are limited! We hope to see you there.